Reiki is simple, natural and safe method of energy that everyone can use. It has been effective helping known diseases. It works in conjunction with all other medical or therapeutic techniques to relieve side effects and promote recovery. Reiki is an energy healing technique which uses “universal life energy” that is channeled through the practitioner to the recipient. This technique balances the subtle energies within the body. Reiki addresses physical, emotional, mental and spiritual imbalances. ​The Radiance Technique ( Reiki) was rediscovered by Dr. Mikao Usui over one hundred years ago in Japan, then it was brought to the USA by Hawayo Takata in the mid 20th century who then passed it down to Barbara Ray in Florida who currently offers full training up to 7 degree levels. Most people in the healing arts go up to the 3rd degree of training which allows them to teach and give attunements to others. Life energy deals with everything: our thoughts, emotions, and consciousness. It connects us to every living thing around us. When our energy is blocked due to stress, disease, emotional blocks, our balance is thrown off, and pain will occur. A Reiki practitioner will offer this life force energy to you to receive where you are off balance, and with specific intent this energy is directed to you to help your body heal itself and gets back into balance, ultimately relieving your pain. Reiki does not require any belief in order to be effective. Just being open to it, and trying Reiki is all you need. This is not a religion. It’s a very gentle and effective holistic technique for receiving this healing energy effortlessly. Reiki allows you to accomplish self-healing by helping you become energetically balanced physically, emotionally, mentally and spiritually. Supports the well-being of the client who is receiving traditional medical treatments that are debilitating, i.e. chemo, radiation, surgery etc. Raises the vibrational frequency of the client on physical,mental,emotional and spiritual; levels. During a Reiki treatment one lies on the table fully clothed. A reiki treatment alone can last from 50-60 minutes. Hands are placed at certain positions, and depending on specific pain, hands can go to those areas too. 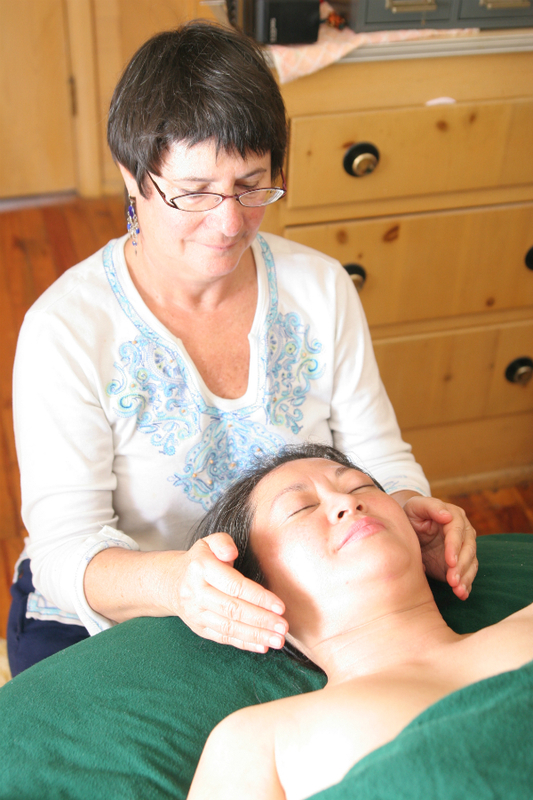 A flow of energy flows through the hands of the practitioner to you at each location. There is no pressure, massage or manipulation. Reiki is great as a preventative medicine, promoting the harmonious distribution of energy to get you back in balance.